Up the style stakes with the gorgeous Vintage Bow collar. 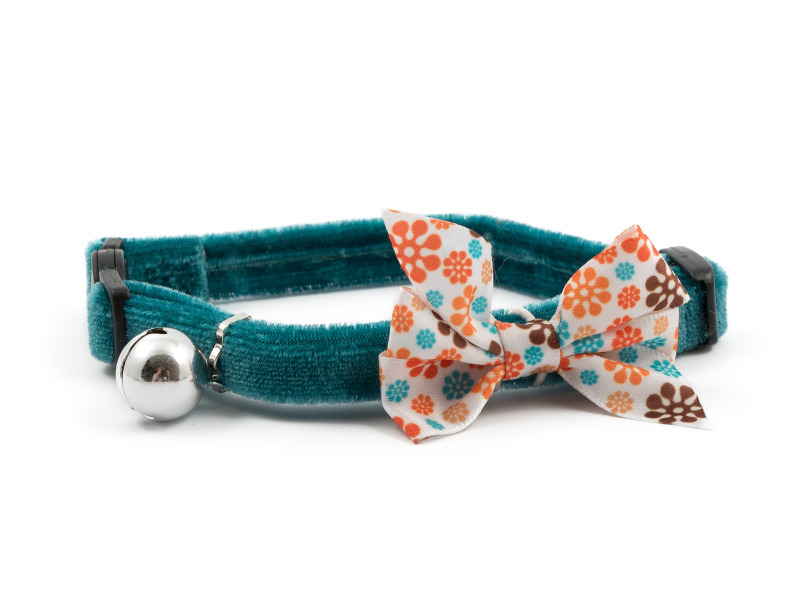 Complete with a patterned, moveable, and removable bow on a luxury velvet collar, this item is simply perfect for beautiful cats. All Ancol collars also feature a warning bell to help protect wildlife. When fitting your cat's collar, ensure that you can get two fingers between your cat and the collar for safety and comfort. Cat collars should be checked each day. Please remove the collar when using liquid flea treatments to prevent reactions between the treatment and the materials of the collar. 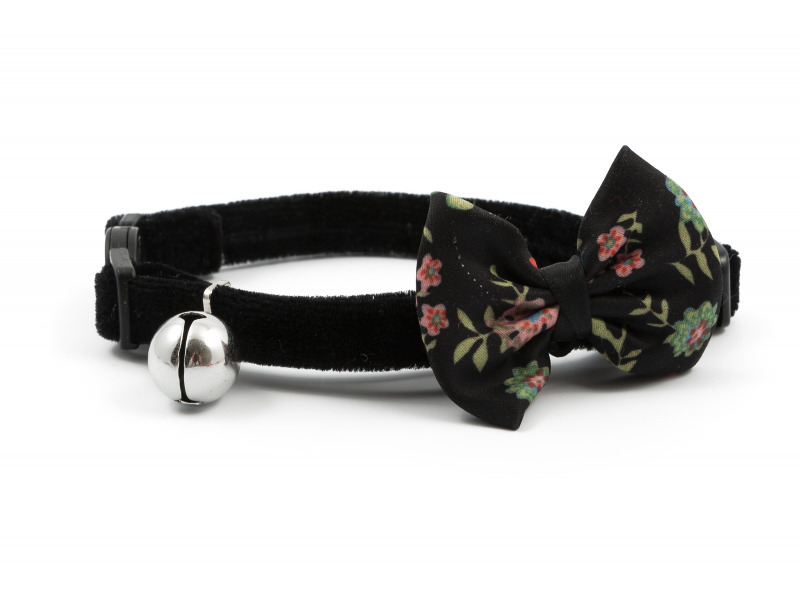 There are currently no questions for Ancol Vintage Bow Buckle Cat Collar - be the first to ask one!